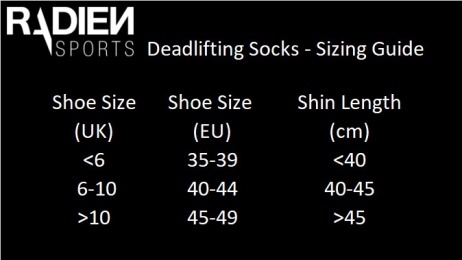 Radien Sports weightlifting Socks are designed specifically for weightlifting and deadlifting. 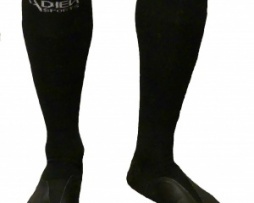 Reinforced chin area protects your shins while doing deadlifts, cleans and snatches. Also, heels and toes are reinforced to ensure the long durability of the socks. Black, 3 different sizes for perfect fit. Also available at Amazon EU.